REDUCED! f you are looking for that get away farm where you can enjoy rural living, this 48 +/- acre farm features great pastureland as well as some nicely wooded areas. Home was built around 1900 and has been well maintained since. Interior retains many of the original wood walls, floors and ceilings. Recent updates include beautiful new kitchen cabinets and granite countertops as well as new stainless appliances which remain with the home. 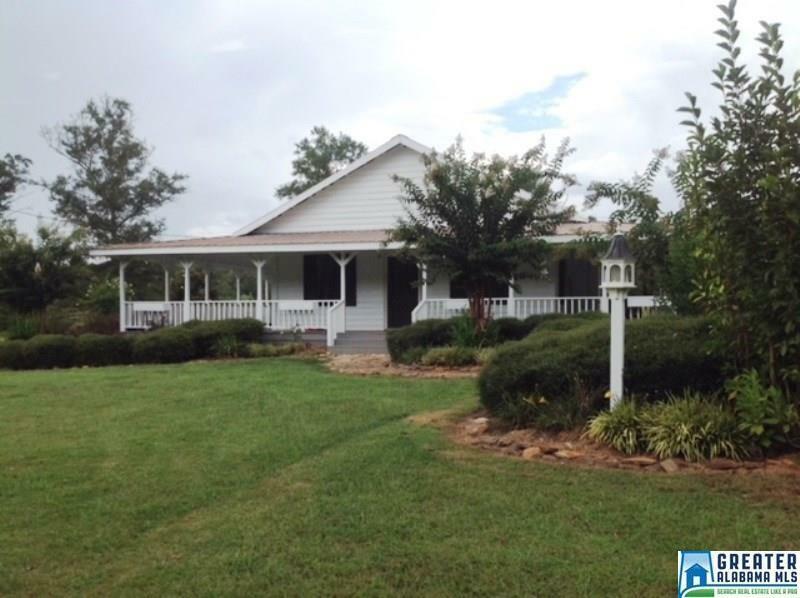 The exterior features a wrap around porch that allows you to relax and enjoy pleasant country living. Outside the house is a saltwater pool with new liner and a large pool house/recreation area in which to entertain or simply to gather with friends and family. Partially fenced and bordering Wesobulga Creek, the acreage has a large bottom land area as well as green fields in the timbered areas. The pastured area has a small barn with stabled areas, chicken coop, water access from well. Numerous fruit trees, muscadine and grape vines, garden area.